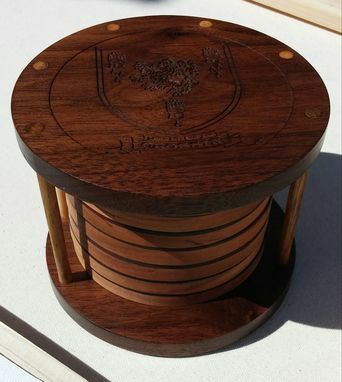 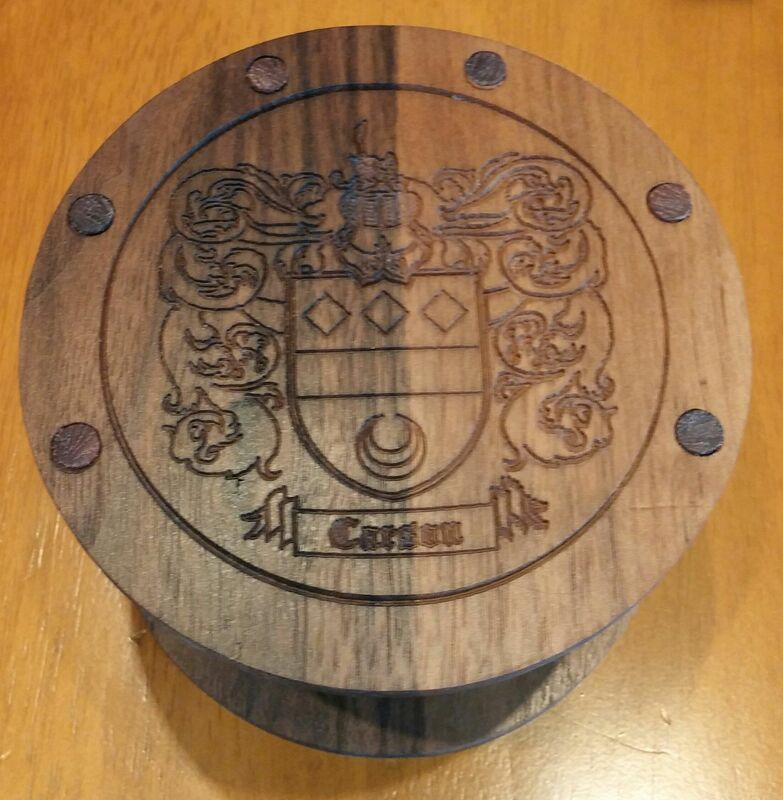 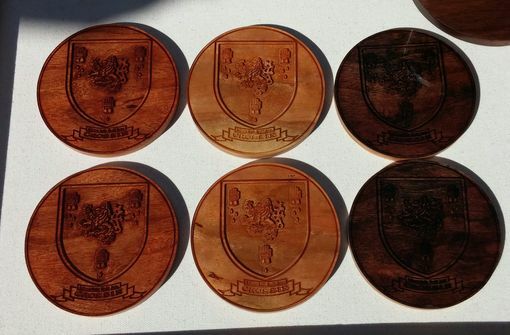 These are coaster sets created using Cherry and Walnut hardwoods. 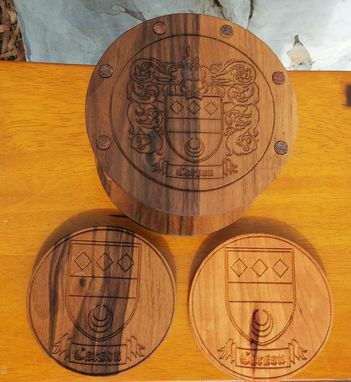 The artwork on the attached pictures is for 2 family Coats of Arm, but I will carve these to include any customer provided artwork (design will be provided for approval prior to carving). 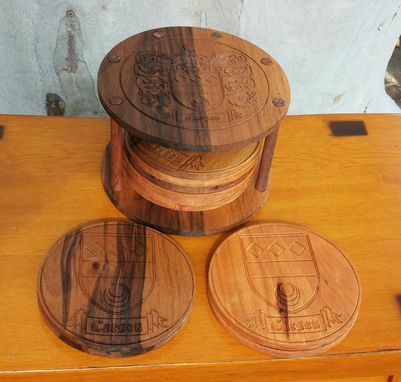 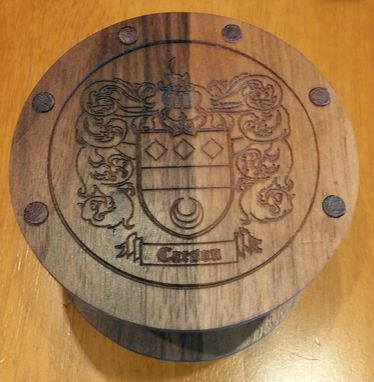 The set includes the holder and 10 matching coasters carved in your choice of wood (combinations of Cherry and Walnut possible).